This product adopts advanced imported acrylic resin and pigment through fine grinding senior system combination, applicable to all kinds of metal, glass, ceramic, stone, electroplating ( aqueous electroplating ), anodic alumina surface, electrostatic spray painting surface and face painting and other products and silk screen printing, without curing agent, without baking, can be to obtain excellent adhesion. Ink characteristics:1, Matt (as required. Please choose our JL Series ), adhesive force is good, alcohol resistance, chemical resistance;2, good hand feeling, leveling, good surface finish;3, surface hardness, impact resistance, strong resistance to scratching;4, alcohol resistant, chemical resistant degree preferred; printing : selection of mesh for100-420,120T polyester monofilament, photosensitive adhesive coated area screen calculation every kilograms amount to 35~ 40square meters. Surface dry time natural volatile5-10 minutes, drying time is in 24 hours,48 hours after the best performance. 1B-03special thinner open water2718wash wash water network. 3can choose to add the JS-9hardening agent10% is used for increasing the adhesion of the oil ink and physical and chemical resistance. 4to 80 DEG C baking oven30 minutes more and canon. Test method ( completely dry ) : 1.3M gummed paper in the painting has hundred grid ink surface angle of 45 degrees to quickly pulled off oil. 299% of the purity of alcohol500G force on the surface of the printing ink and wipe back and forth200 times without decolorization. Method of use:1before use should be fully stirred, use at any time after the seal. 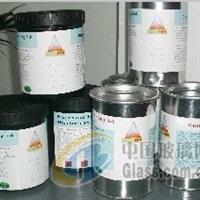 When the first and2 mixing curing agent standing for 10minutes, plus diluent10-15%, diluted to printing viscosity. 3adding curing agent ink time limit for4-6 hours, please not expired, the remaining ink unrecyclable. 4screen plug mesh can be used when washing network water cleaning. 5 may not with other types of ink mixed use. Note: 1all kinds of materials, similar in appearance, but may be of different materials, customers need to try printing, ensure its requirements, and then batch production. 2in the printing process, such as drawing or spread phenomenon, may be appropriate to add some slow dry plaster. 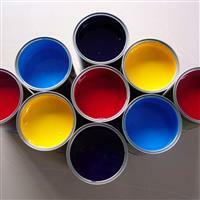 3the ambient temperature is too high, will affect the quality of the original ink. 4 please stay away from fire, keep out light.